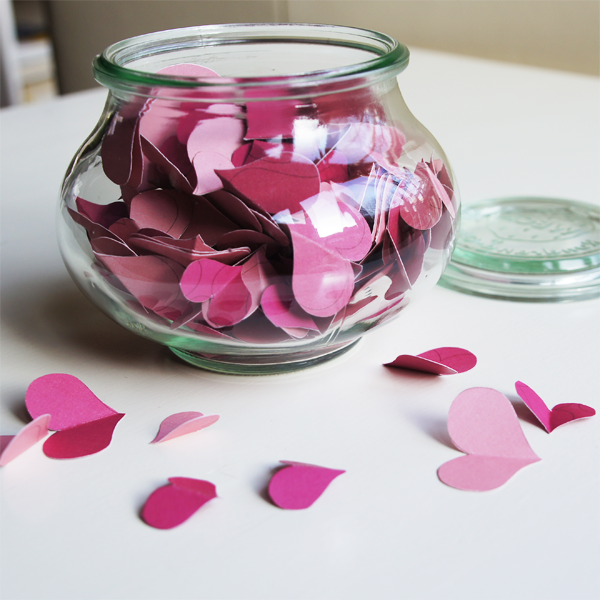 If you want to make a Jar of hearts yourself..follow these steps. 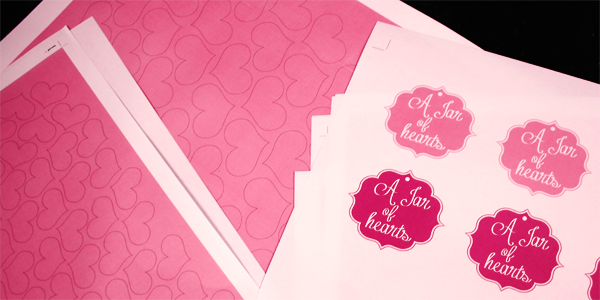 Cut out all the hearts. 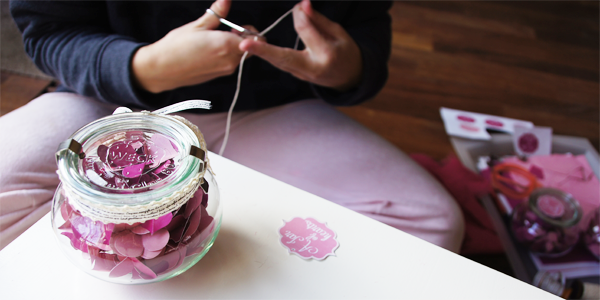 You can make them in different sizes to make it more playfull. 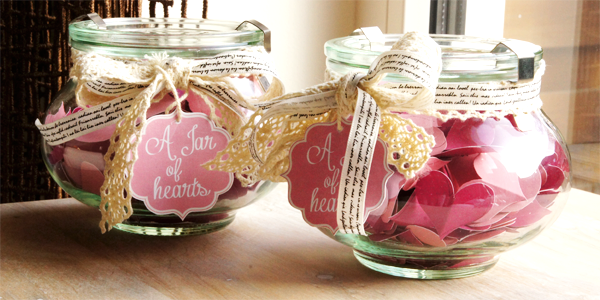 If you are done with all the hearts, Make sure you fold them so they take more place in the Jar and make it look full. 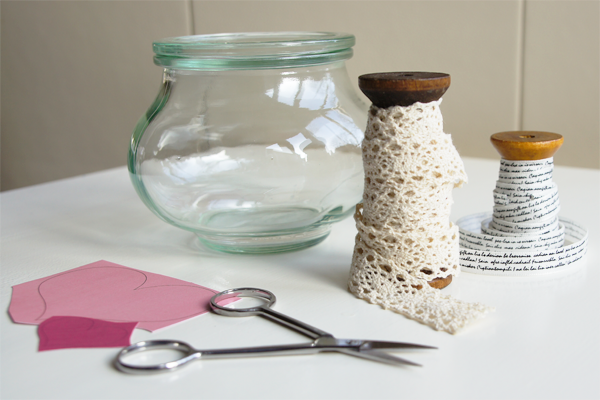 When you are done, you make the Jar cute by wrapping some decoration around it. I Made a label to finish it. 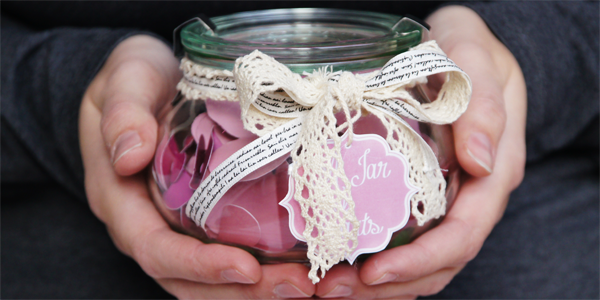 Enjoy making your own Jar and have fun giving it to someone you love.